Document shredding is a systemic problem at regional offices of the Department of Veterans Affairs, according to a watchdog report. The VA inspector general found that staffers at a majority of regional offices that investigators visited last year improperly sent documents related to veterans’ claims to the shredder, a practice that the watchdog said is a "systemic issue" fueled by VA policy. The report issued Thursday said that investigators conducted "unannounced inspections" at 10 regional offices after it was discovered last February that staffers at the VA’s Los Angeles office sent mail related to veterans’ claims to the shredder. At six of the 10 regional offices, staffers improperly sent documents to the shredder without first putting the information in veterans’ claims folders. Sixty-nine of the 155 claims-related documents, or 45 percent, reviewed by investigators were incorrectly sent to the shredder. Two of the documents affected veterans’ benefits, and nine had the potential to do so. While the rest did not affect benefits, they were still required to be included in veterans’ claims folders before being destroyed. In one instance, because VA employees sent a claim to the shredder, the family of a veteran who died under VA care was denied compensation for hundreds of dollars in funeral costs. Other documents prepared for shredding included medical evidence, congressional inquiries, and records with veterans’ military records and bank account information. Employees at VA regional offices in Atlanta, Chicago, Houston, New Orleans, Philadelphia, and Reno improperly sent veterans’ mail to the shredder. Inspectors also paid visits to offices in Baltimore, Oakland, San Juan, and St. Petersburg but found no evidence of such wrongdoing at those locations. "As we identified problems at 6 of the 10 VAROs, we concluded this is a systemic issue within [the Veterans Benefits Administration]," the inspector general wrote. The watchdog widely blamed VA policy for the errors, indicating that the agency’s rules lead staffers to destroy claims-related documents without first reviewing them. 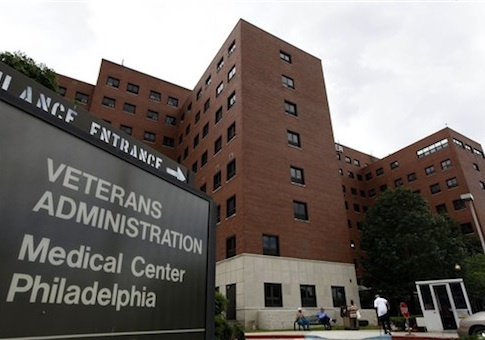 "Generally, errors occurred because management and staff found VBA’s policy on the management of veterans’ and other governmental paper records unclear and confusing. Furthermore, records management staff did not consistently perform the duties of their position because some were assigned duties outside of their responsibilities to review documents scheduled for destruction," the inspector general wrote. "VBA’s policy is outdated, lacks standardized procedures for records management staff, and increases the likelihood for VARO staff to destroy claims-related documents without supervisory-level review." Staffers also did not routinely receive records management training, investigators found. The inspector general emphasized that improper shredding practices could be disadvantaging veterans across the United States. "Considering that there are 56 VAROs, and if weekly shredding is conducted, it is highly likely that claims-related documents at other VAROs are being improperly scheduled for destruction that could result in loss of claims and evidence, incorrect decisions, and delays in claims processing," the report read. The inspector general recommended that Danny Pummill, the VA’s acting undersecretary for benefits, ensure that regional offices comply with policy, update and clarify policy and procedures, and provide necessary training. While Pummill concurred with the recommendations, he pushed back on the notion that the issue is "systemic." "The acting under secretary for benefits stated that every veteran’s record is important and regrets these human errors occurred," the report explained. "However, he further stated VBA does not agree that the reported error rate is indicative of a systemic issue." The Veterans Benefits Administration has been embroiled in scandal for several months. Allison Hickey, Pummill’s predecessor, resigned last October under pressure from critics after reports surfaced that executives were abusing the VBA’s relocation program to obtain monetary perks. VA officials suspended Pummill last month for his role in the relocation scandal, accusing him of providing a "lack of oversight." John Cooper, the press secretary for Concerned Veterans for America, told the Free Beacon that the new inspector general report highlights the need for "systemic reform" at the VBA. "Veterans have a legitimate reason to worry that their claims documents are being improperly handled, and even destroyed, by the VA. The benefits processing system, already plagued by corruption and inefficiency, essentially requires veterans to cross their fingers and hope their claim is handled correctly and in a timely manner," Cooper said. This entry was posted in Issues and tagged Veterans, Veterans Affairs. Bookmark the permalink.